It will be raining gold in the UAE during the Dubai Shopping Festival (DSF). At least 33 kilos of gold, valued at Dh5 million, will be given away to some shoppers in Dubai during the five-week long retail bonanza, officials announced on Wednesday. 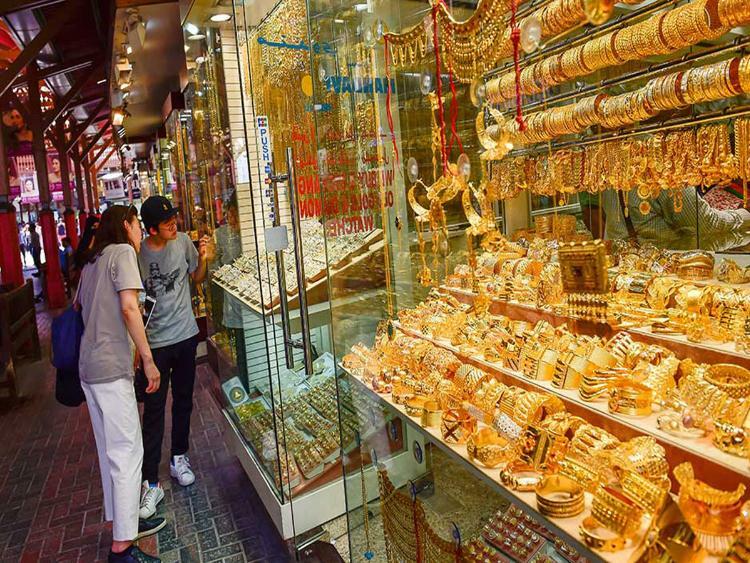 Staying true to the emirate’s name as the “city of gold,” the Dubai Gold and Jewellery Group (DGJG), an association of retailers, said that at least 300 shops will be participating to reward consumers. Every day, from December 27, 2018 to January 26, 2019, four people will bring home a total of one kilo of gold, or 250 grams each, and on February 2, one shopper will be rewarded with one kilo of gold. There will also be six winners who will get to score 100-gram gold bars from January 27 to February 1, while six Samsung 65-inch 4K UHD smart curved TVs will also go to select shoppers during the same period. A raffle will be held daily and the winners will be revealed every 8pm at the Deira Gold Souk. Those who spend at least Dh500 on gold jewellery will get one raffle coupon, while buyers who spend Dh500 on diamond jewellery, pearl or watches will get two coupons. Abdalla Hassan Al Ameeri, director of raffles and promotions at Dubai Festivals and Retail Establishment (DFRE) said they are confident that the daily gold raffle will boost the retail industry. The upcoming Dubai Shopping Festival (DSF) will kick off on December 26. It will start with a “mammoth” 12-hour sale, during which price tags will be slashed by up to 90 per cent. Sales across the shops in Dubai remain robust and according to the latest estimates, spenders could be splurging billions of dollars over the next few years. Analysis released by the Dubai Chamber of Commerce early this year showed that the value of retail sales in Dubai is on track to reach $43.8 billion by 2021. Four daily winners (250 gm gold each) from December 27 to January 26 and one KG off gold in a final draw on February 2. Five BMW cars every week on diamond jewellery purchase of worth Dh500 and above. Draws for the cars will be held on January 1, 12, 19 and 26 and February 2.